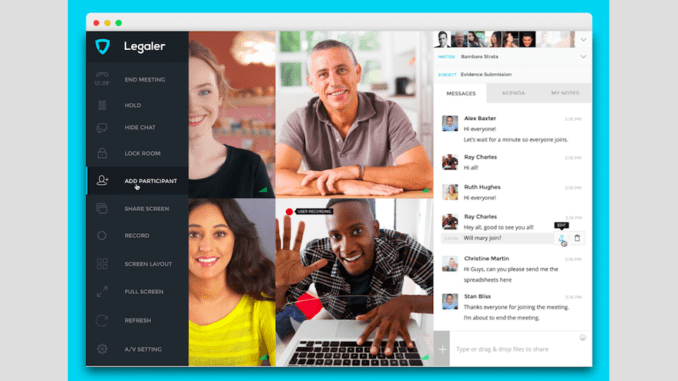 Australian legal tech start-up, Legaler, which helps lawyers to securely communicate and collaborate online is to launch its own cryptocurrency via an Initial Coin Offering (ICO). The company is also launching a new legal aid charity platform, supported by the $35m ICO, which will operate as a blockchain-based Decentralised Autonomous Organisation, or DAO. 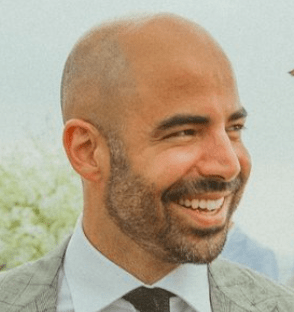 Artificial Lawyer caught up with the Sydney-based Founder of Legaler, Stevie Ghiassi, to find out some more. – How much will you aim to raise with the ICO? And what will the money be spent on? The hard cap for the Token Generation Event is currently US$35m. As with most software platforms, the majority of the funds raised will be for research and development along with marketing. The development of Legaler ID, a self-sovereign digital identity and a means of issuing and managing digital certification, will require working closely with law schools and law societies, so funds will also be used to help foster industry relationships and adoption. Significant funds will also be allocated to the Legaler Aid foundation, incentivising lawyers for participating in pro bono work and social justice cases around the world. Whilst the majority of our tokens will be sold to the public, a small percentage will remain for advisors, team and a rewards pool for early adopters and community champions. – How are you handling the regulatory aspects of the ICO, e.g. is it a security? The Legaler token fulfils a utility role, serving as the native currency within the Legaler ecosystem. It acts as a medium of exchange for commission-free services, in-app rewards and also allows token holders to vote for governance. Given that we are serving the legal industry, we have been very diligent in ensuring our token is compliant and is most accurately categorised as a ‘pre-sale of services’. Since the regulatory landscape is evolving, this ensures we have no issues with being considered a security, even into the future. – The legal aid system looks brilliant, can you please explain how it works and tell us how people can get involved? Our long term vision for Legaler Aid is a completely Decentralised Autonomous Organisation (DAO) charity i.e. a completely transparent force for good that can’t be shut down. We see this being a progression over time as decentralised technologies are still maturing, especially in the areas of governance. In the future, Legaler tokens will play a significant role in governance, whereby curators are voted into positions that require human oversight. 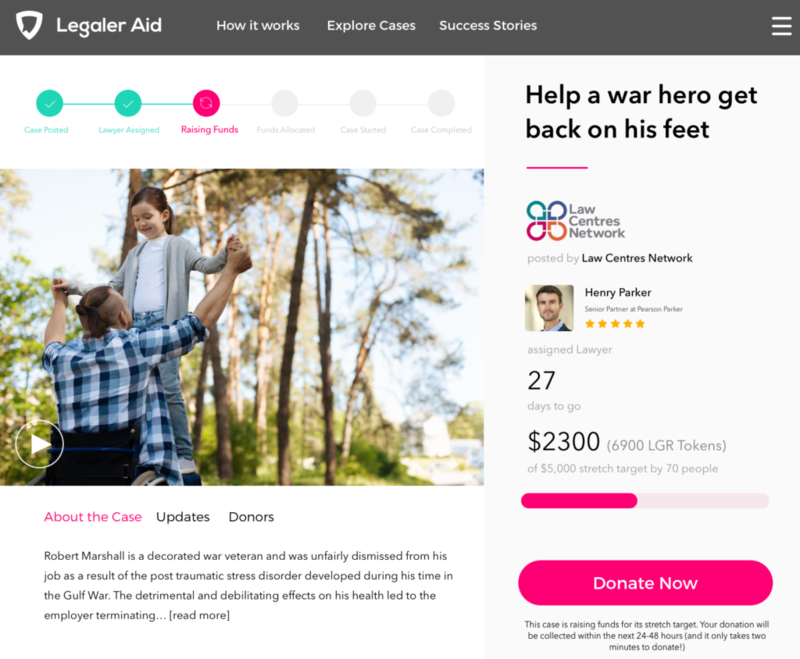 Legaler + Legaler Aid is somewhat of the ’TOMS shoes for legal’ in that Legaler as a for profit entity will contribute a percentage of profits to Legaler Aid for access to justice initiatives, similar to how TOMS gives someone without shoes a pair with each purchase. Part of the inspiration for this was a friend’s law firm in Sydney that has a charitable arm that has received over $50m in seven years (after all of the firm’s profits after expenses) for humanitarian legal work for the disadvantaged. Community legal centres can then privately post cases for tender to lawyers that are part of the Legaler + Legaler Aid ecosystems. The cases can be of 2 varieties: privates or public cases (generally social justice cases). These cases can be pro bono or have a payment milestone like a kickstarter. Community legal centres can then review the proposals provided by lawyers, choosing one they are happy with. If the case is a public one, once the lawyer is selected the case can be shared on social media etc. to raise funds. Donors contribute funds to a charitable entity, so they are a tax deductible incentive. Immediately upon donation, funds are converted to Legaler tokens. From here on, only tokens are used and exchanged in the platform e.g. they sit in escrow until lawyers complete milestones. Unlike Kickstarter projects, we didn’t want donor funds to be instantly returned to donors if the milestones aren’t reached. This won’t help as many people as possible. Instead, a lawyer can decide to take on a case even if it doesn’t fully reach the milestone. This is a personal decision and the lawyer is rewarded with Justice Rewards points for the outstanding fees (points convert to tokens at a lesser rate) e.g. a $5,000 case only reached $3500. The lawyer would receive points for the remaining $1500. These points can be spent in the Justice Rewards program to access discounted services and events – much like frequent flyers points (image attached). Once the case successfully reaches its milestone, the lawyer renders the work and contributors can follow the cases progress, seeing where each and every dollar/token is spent. The lawyer earns Legaler tokens that can be converted to fiat instantly if needed. Regarding the private cases and pro bono work, we are able to connect lawyers to meaningful work quickly and accurately e.g. an IP lawyer who’s passionate about the arts can be connected through algorithms to a case in their jurisdiction for a disadvantaged musician (we’ll know their areas of interest, practice areas, location, experience etc.). This will make it really easy for lawyers to connect with work they care about when they’re trying to reach their yearly pro bono hours. The lawyers clock up rewards points for pro bono work and the hours are also reflected on their profile page as a badge of honour. This entire process is placed on the blockchain so every expense of the company is transparent including its bank accounts, the public can also see where the money has been spent and how many cases have been rendered. Beyond that, they can already follow their donation as they are notified and updated on the cases progress. A truly transparent charity, and with further development of smart contracts, an automated and efficient one. Given the transparency and the social impact of Legaler Aid, not to mention tax deduction benefits, we will also encourage corporate entities and even large law firms to make substantial one-time donations. These donations will be reflected on the profile pages of the corporations, and they will also be able to designate which cases and causes they wish to contribute their donation to. We will soon have an early access page for legal centres interested in becoming partners of Legaler Aid. Our initial focus will be Australia and then US, Canada and UK. – More generally, how is the company doing now? 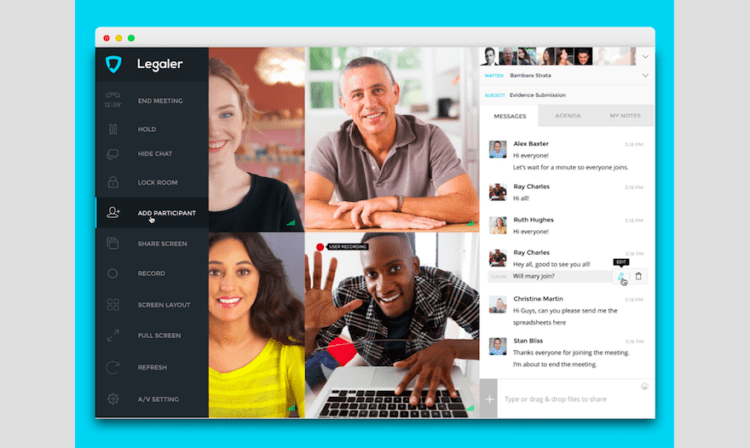 Since launching to the public in April last year, Legaler is now adopted by users in over 80 countries around the world, helping lawyers connect with their clients securely online. We have been fortunate with the interest we have received and have already had private pre-sale funding contributed to help us conduct a successful token offering. Thanks Stevie! Good luck with the ICO and congratulations on the fantastic legal tech for good, A2J initiative. Now seems like a good time to mention that Artificial Lawyer has just been announced as the official media partner of ALTA, the Australian Legal Technology Association, which has just launched and which Stevie also played a key role in getting started. Keep an eye out for news about ALTA events and developments in the months ahead.